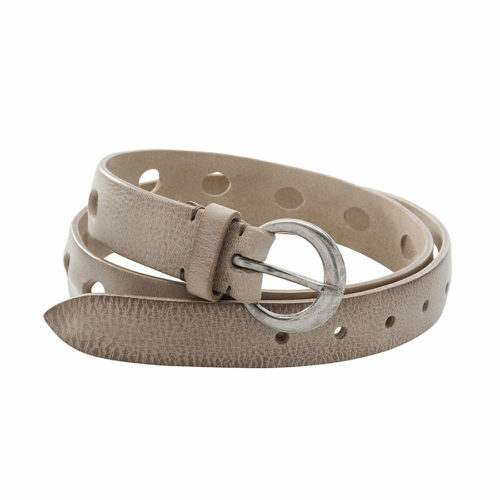 CINTURA IN PELLE LAVATA METALLIZZATA CON BORCHIE. FIBBIA OTTONATA. WASHED METALLIZED BELT WITH STUDS DETAILS. BRASS BUCKLE. 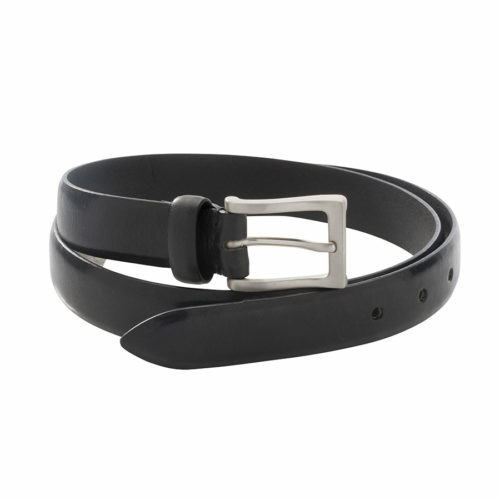 Cintura cm 2,5 cuoio termosaldato. Fibbia satinata. 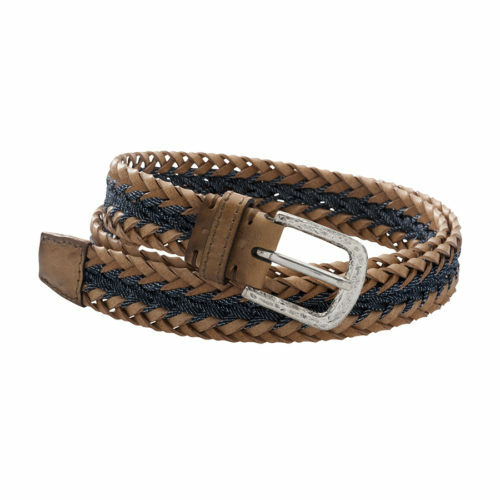 Heat Sealed leather belt with wide loop and glazed silver tone buckle. Cintura in cuoio lavato con inserto metallo color argento. 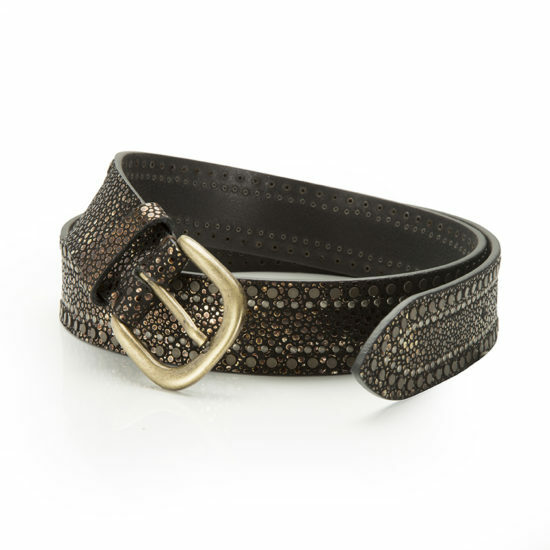 Vintage washed leather belt with decorative mesh insert and brass buckle. 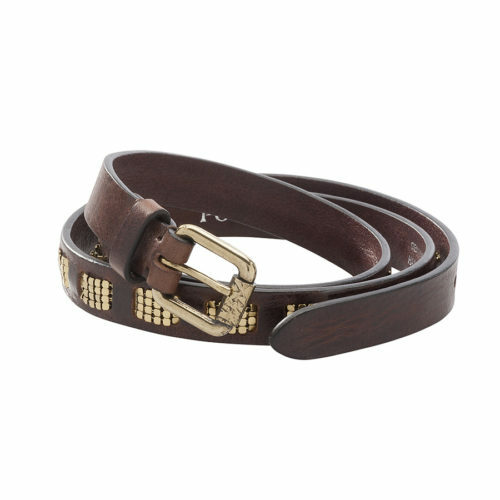 Washed leather belt with large laser cut holes and circular antqued silver tone buckle. Cintura in pelle lavata con grandi fori. Fibbia argentata anticata.